"The River and this crossing of it has defined the life of several generations of local inhabitants on both sides of the River. As the suburban outskirts of Sydney widen and come closer to the still distinct and distinctive Macquarie towns, the rich history of the area and its physical remains become increasingly important to the community’s senseof identity. The Windsor Bridge is thus an important part of Windsor’s history and identity." Quoted in Government Architect's Office, 2011, p 5. View of Windsor Bridge caisson deck supports. Photo property of CAWB. From the lower area of Thompson Square you are able to see the existing historic Windsor Bridge, which will be demolished as a result of the Project (also known as Option 1). 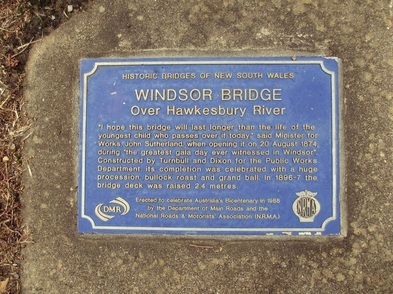 Windsor Bridge crosses the Hawkesbury River from Bridge Street, Windsor. Over 18,000 vehicles per day use the bridge. Over 70% of the traffic using the bridge is through traffic. 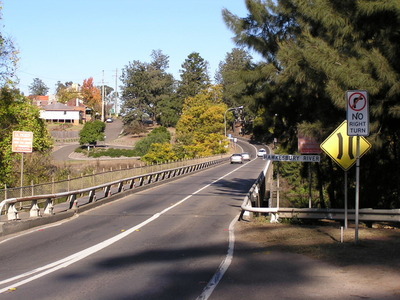 It not only provides a local link for communities on either side of the river, but is also an important regional link between western Sydney and the Hunter Valley and Blue Mountains. 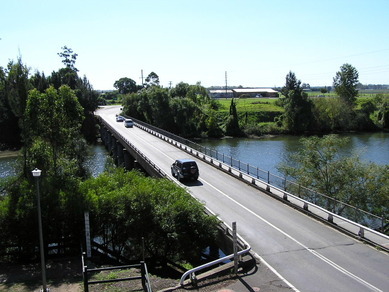 The Windsor Bridge is the oldest, existing bridge crossing over the river at Hawkesbury. It was opened in 1874 and parts of it (such as the caisson deck supports) are original and over 130 years old. It was designed by the Public Works Department and constructed, between 1872-1874, by contractors Andrew Turnbull and William K. Dixon. I hope this bridge will last longer than the life of the youngest child who passes over it today. 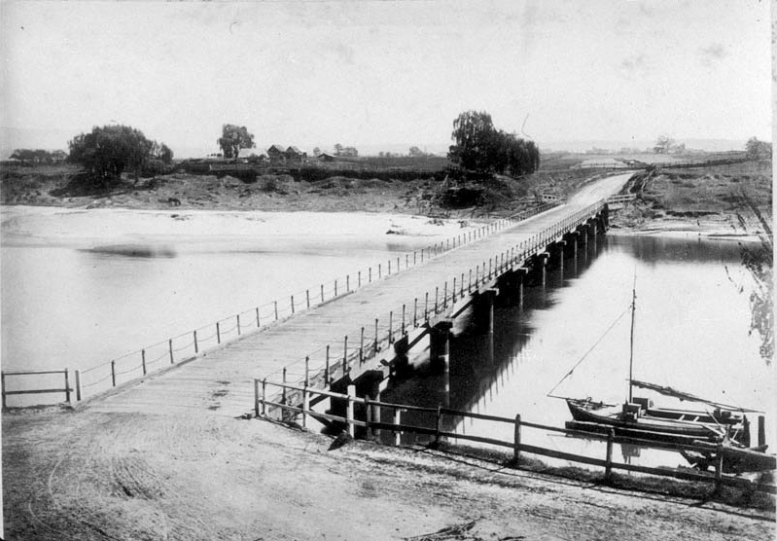 After completion of the bridge in 1874 the level was raised by 2.5 metres in 1897 and the hardwood superstructure was replaced by reinforced concrete in 1922. In 1934 a new approach road was created in order to meet the needs of modern motor traffic. 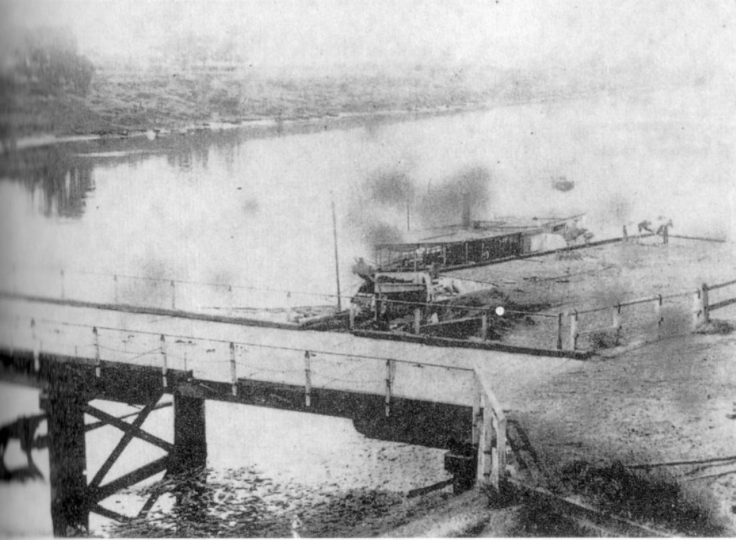 Prior to the construction of the Windsor Bridge, the crossing of the Hawkesbury River at Windsor was made by ferry. Approval for John Howe to operate a ferry across the Hawkesbury River from Windsor was granted in October 1814. Howe’s regular service operated from 1814 and was taken over by the government in 1832. This service would have ceased on completion of the bridge in 1874. 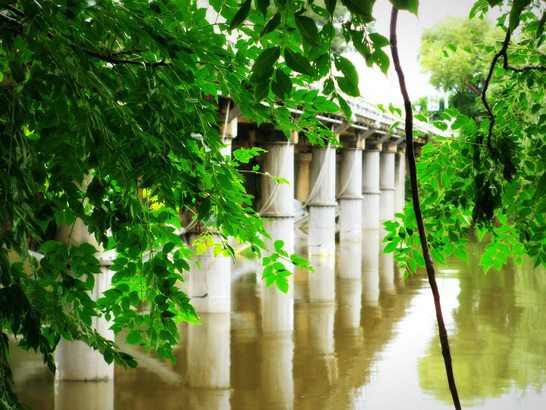 View of the existing Windsor Bridge from the lower area of Thompson Square. Photo courtesy of ozroads.com.au. Looking east across Windsor Bridge, showing the approach cut in 1934 and the old approach over the hill crest (top left). Windsor's old punt wharf is a maritime archaeological site identified by timber beams protruding from the bank. The date of this remnant wharf is currently unknown but the punt wharf site may provide evidence and information about the earliest river crossing in Windsor. The site is wholly within the proposed road reserve of the Project. Water colour of Windsor Bridge. Artist unknown. Circa 1860s. 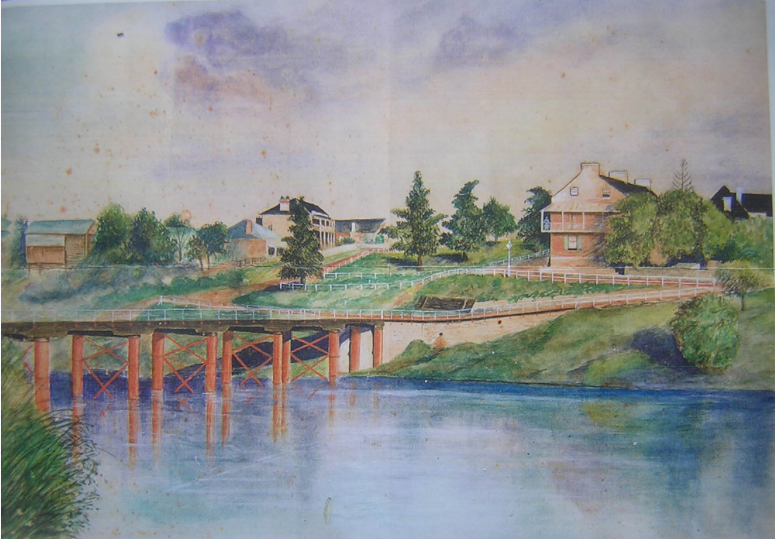 Windsor Bridge and the western bank of the Hawkesbury River, not dated. Source: State Library of NSW (Work and Play – 04404). The wharf beside the Windsor Bridge, not dated. Source: Mitchell Library Small Picture File – Windsor. The wharf beside the Windsor Bridge, not dated. Reproduced in Bowd, D. G., Up the Windsor Road from Baulkham Hills, Library of Australian History, Sydney, 1986. Government Architects Office. (2011). Landscape and visual investigation for bridge options at Windsor. Roads and Traffic Authority of NSW (RTA), August 2011. Roads and Traffic Authority of NSW (RTA). (2011). Windsor Bridge Replacement: Options Report. RTA, August 2011.